I was delighted to be featured as an Author in the Spotlight on the Hannah Mc Kinnon blog. Hannah has now signed a contract with Mira, but she’s already a well established author with Time After Time which was released last year with Avon Books. 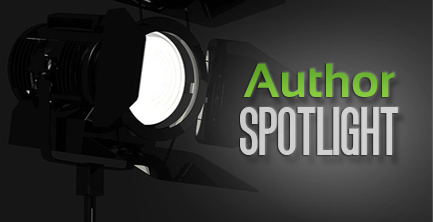 This week’s Limelight guest is Faith Hogan, author of My Husband’s Wives and Secrets We Keep. Hi Hannah, it’s lovely to be here! Where do I start? I’m a writer, reader, fiction addict! Seriously, I live in the west of Ireland and I just adore books. I’ve always written and over the years I’ve flexed my muscles on poetry, short stories, a radio play and for quite a while I was writing crime fiction. Then my agent pointed me in the direction of women’s fiction and I’ve never looked back. I have a golf mad husband, four children and a very demanding cat – I think that’s about it! Blimey. You sound busy! Now, your second book, Secrets We Keep, has just been released – congratulations! What can you tell us about the story? It’s set in the west of Ireland, in a little village that in reality is just on my doorstep. It’s the story of two women who have made mistakes and lived the best lives they thought they could. It’s a story of how they manage to find what they need, just when they stopped searching. Some people are meant for each other – time and distance can throw people together when they least expect it and happy ever after is never exactly what it seems! Your debut, My Husband’s Wives, came out in May last year. It’s quite different from Secrets We Keep, isn’t it? It is! I’ve been told it’s a very different kind of book. I began writing Secrets We Keep before I knew that My Husband’s Wives would be published. I suppose in that way, they are both written from the heart – there was no formulae, no target market – they are just books of women’s fiction that I had to write and now, I’m so glad I did. I loved writing Secrets We Keep – it’s the book that made me go ‘wow,’ at the end. I’m not sure I’d have been brave enough to take it on if there had been an expectation of something else. I have to ask – two novels in under a year. How on earth do you write so quickly? It seems like that doesn’t it! Books are changing though, now you look at some of the best writers around and they’re producing four books a year – now, that’s mind blowing. I still have a day job, a family, a life? But I have to say, I love the writing process, so I suppose while some people are knitting, or growing vegetables, or watching soap operas, I get my kicks from crafting stories – it takes all sorts! When did you start writing, and what did you write first? I can’t really remember a time when I didn’t write. I suppose that I got more serious about it a couple of years ago. I put a lot of energy into writing crime novels at first, and perhaps that wasn’t a bad thing – because I’m sure it has to have honed some skills (apart from giving me writers’ bottom :D). Stolen Sister was a winner in the Irish Writers Novel Fair and that was a great experience as well as a nice confidence booster around the writing. How did you go about finding an agent and surviving the dreaded querying process? Oh, dear – yes, that’s probably the worst part. I was lucky, I sent off my MS to a few agents, one of whom I particularly admired – she has ‘discovered,’ some of my favourite authors. She worked with me for some time to put my ms into shape and even still, before anything goes to the publishers she will go through it and advise on revisions where she thinks they’re needed. Because she’s very experienced I trust her judgement, she’s worked with the very best and her optimism is uplifting – yes, I’ve been very fortunate. What did it feel like to get a book deal? That was the day I did a dance around the kitchen and the kids thought I’d finally tipped the scales in terms of coolness (I’m still not sure which side of the scales I’m on it depends on if you ask the teenagers or the seven year old). Seriously, nothing prepares you for it. It was mind-blowingly better than I had imagined. I spent days afterwards just going through the emails. Of course, then you come back down and realise, I have to really write two more books now – argh!! But it’s all good! Can you tell us about how you write? Any particular methods or quirks you can share? No, I’m a pretty boring, plant-my-bottom-on-a-chair-and-go-for-it-kind-of-gal! I do like the quiet though and I tend to forget time altogether when I’m working on something that I’m really enjoying. Sometimes I have that battle between knowing it’s time to eat and really not wanting to leave where I’m at – first world problems, I know! What’s the most surprising thing you learned about yourself when you started writing creatively? What are your Top-5 tips for aspiring writers? First, I’d say write. You have to write some truly terrible stuff before you get to the gold. Next, I’d say make the time. If you’re serious, get into a routine and make it a priority. For me, for a long time now, writing has come high on the list, after family and friends. It’s way before a lot of things that used to be priority! Third, expect rejection – but don’t take it personally. If you can learn from it then you’re on the right path. Fourth, in saying that, other people are not always right. I’m thinking here of JK Rowling’s rejection letters that were addressed to Robert Galbraith – now there’s an unhappy publisher crying into his tbr piles. Never give up just because of a comment based on a couple of chapters – life is too interesting for that! Finally, get a comfy chair – you’ll be doing a lot of sitting in it if you’re really serious about this writing lark! When I’m not working, it’s family first, sometimes it’s just chillaxing at home or doing whatever floats their boats! Did I mention that I live in the one of the most beautiful corners of the world? I love to walk in the local woods, along the beach or just take in the air before bed time! I’m a big movie girl –as you might imagine and I’m discovering the delights of Netflix series, but of course, it takes me an age to get through them, I’m so far behind everyone else, it really is embarrassing. And finally, where can we find out more about you, and your work? You’ll find me on Twitter, Facebook, Instagram, and on my website.